March 2014 to present - Assistant professor of "Logistics and Restaurant and hotel business." 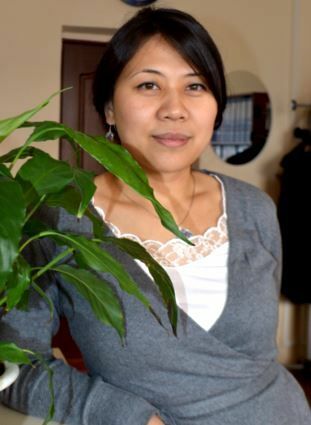 NEI "Almaty Management University"
2009 - 2012- Head of Human Resources Department. Concurrently, an assistant professor of "Management and Marketing" NEI "Almaty Management University". 2006 - 2009- Director of the Career Center. Concurrently, a senior lecturer in "Economics and Social Studies." "Almaty University of Management". 1999 - 2001 - Head of Personnel Department, Almaty branch of JSC "Kazahstankabel"
1998 - 1999 - Inspector at Human Resources. Almaty branch of JSC "Kazahstankabel"
12 - 28 August, 2014 - Certificate of completion INTERNATIONAL TECHNICAL ATTACHMENT PROGRAMME in Restaurant & Culinary Operations at Taylor, s University School of Hospitality, Tourism and Culinary Arts, Malaysia. 14-17 January, 2014 - Diploma AMADEUS BASIC COURSE.